is honored on Panel 21E, Line 41 of the Vietnam Veterans Memorial. THANK YOU FOR YOUR SERVICE AS A MACHINE GUNNER. SEMPER FI. ELECTION DAY IS NEAR AND VETERANS' DAY IS APPROACHING - SO IT IS IMPORTANT TO REMEMBER AND HONOR ALL OF YOU. MAY THE SAINTS AND ANGELS GUIDE YOU. REST IN PEACE. It has been, almost 50, years since. Lance Corporal, Stephen Balters served, with the best. Foxtrot, Company, 2nd, Battalion, 5th, Marines, 1st, Marine Division, left, for Operation, Union II, on May 26th, 1967, attached, to Colonel, Hilgartner’s, 1st, Battalion, 5th, Marines. When, the first wave, of helicopters came back, for the rest, of the company, the helicopter crews unloaded, what looked like body bags, but, inconceivably, it was flack jackets, as Col Hilgartner, thought it was too hot to wear them. By June, 3rd, after a week in the bush, south, of their An Hoa, base camp, in the Que Son, Valley, Foxtrot’s objective, was the village of Vinh Huy, 2. The company advanced, parallel to Delta, 1/5, 800, meters, southeast, moving towards a saddle leading to a field, 450, meters wide, by 350, meters deep. Delta, Company, was engaged with at least, a company of NVA. The first and second platoons, entered the rice paddy and the battle raged, for the next several hours. The men of Foxtrot, fought valiantly, engaging, an NVA regiment. Corporal, Loyd Woods, single handedly attempted, to save his mortally wounded, platoon leader, attacked and eliminated, two machine gun positions and their crews. Corporal, Melvin Long, despite, being wounded twice, led his squad in an attack on the hills, killing all, of the enemy and relieving the crossfire on the Marines, trapped in the open rice paddy. Gunny Green, on his first operation with Foxtrot, also killed, the crew of two, machine gun positions. All three, were awarded, the Navy Cross. At 1745, Captain Graham, after being wounded twice, chose to stay with the badly wounded, battalion radio operator. His last radio contact, was to 3rd, platoon commander, indicating that he was out of ammunition and that “25, NVA., are firing and maneuvering against me and they are looking pretty good...” He received, the Congressional Medal, of Honor. Foxtrot Company, lost 30, men, killed and another 61, wounded, on June 3, 1967. Only a month, later, after rebuilding, Fox was sent to Nong Son and attacked, losing 10, more men. A short timer, machine gunner Private, Melvin Newlin, received, the Medal, of Honor, for his actions on the night of 3/4, July. Steven Balters, may you, rest in peace. I, will never forget. Sgt., Richard Hulet, Logistics, Support Unit, 2/5, An Hoa, 1967. I can only hope this helps a little..., best I can do. 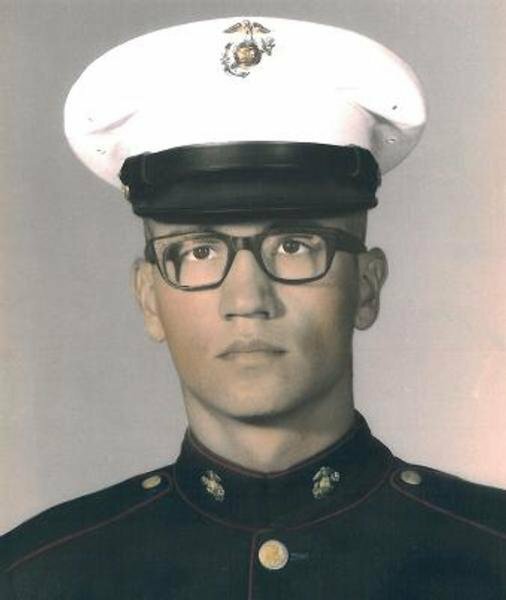 Lcpl Balters was my cousin and although I was born almost 30 years after his passing, I feel the need to find out exactly what happened over there. Everything I've read suggests that he was involved in Operation Union II but I want to find someone who was there and possibly someone who knew him who could tell me how he fell.